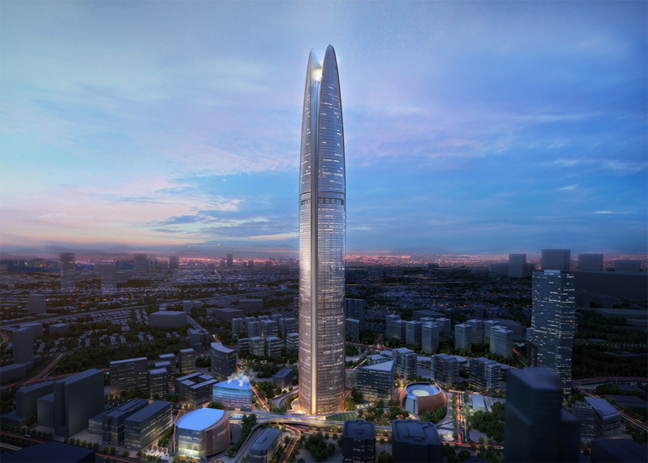 With a proposed height of approximately 530 metres, the Pertamina Energy Tower will be twice as high as Wisma 46, currently the tallest building in Indonesia, and will feature an integrated “wind funnel” that generates energy from prevailing air currents. 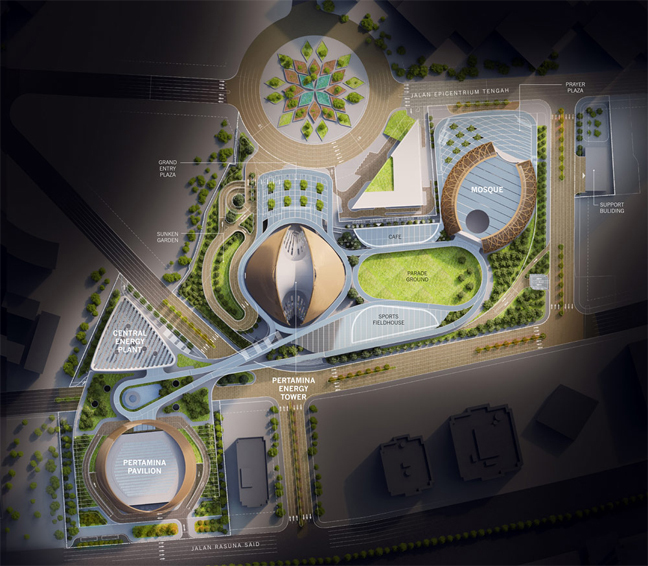 American firm Skidmore, Owings & Merill (SOM) designed the building as a headquarters for state-owned oil and gas corporation Pertamina and it will be constructed as part of a proposed campus that also includes a mosque, a performing arts and exhibition centre, sports facilities and an energy plant. The exterior of the tower will be glazed and will gently taper towards the top to frame the opening of the wind funnel. 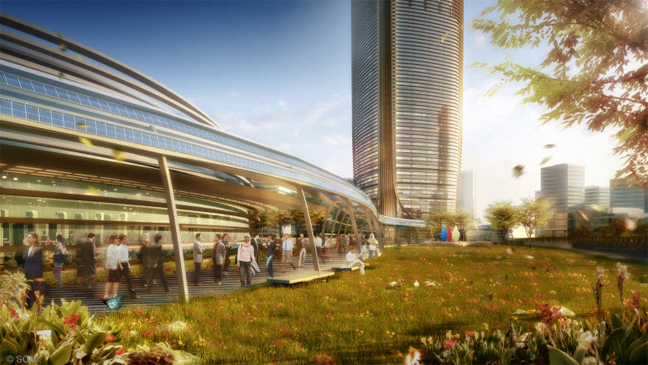 This curved facade will feature solar shades to allow natural light to enter, without the problems of solar heat gain. “Pertamina Energy Tower’s iconic presence will stand as a model of sustainability and efficiency, as well as collaborative workplace design,” said SOM director Scott Duncan. “The headquarters” performance-driven design supports and reflects the ambition of Pertamina’s mission and forges an innovative model of green development in Jakarta. “The building is scheduled for completion in 2020 in Jakarta’s Rasuna Epicentrum neighbourhood and will accommodate up to 20,000 Pertamina employees.